Everyone now waits for Amazon to cull through these submissions and announce a short list of candidates–they’ve said this will happen in December, with a final winner being selected in 2018.
a collection of affordable, livable cities and communities closeby that consistently appear on “Best Places to Live” lists–places like Raleigh, Durham, Chapel Hill, and Cary. Most importantly, while the Research Triangle region has some impressive statistics and great achievements to point to, what gets me most excited about this region’s future is that it feels like the best is yet to come. Most of the great cities in the United States came of age in the 20th century–many have aging infrastructure, challenging real estate markets, and issues of equity. 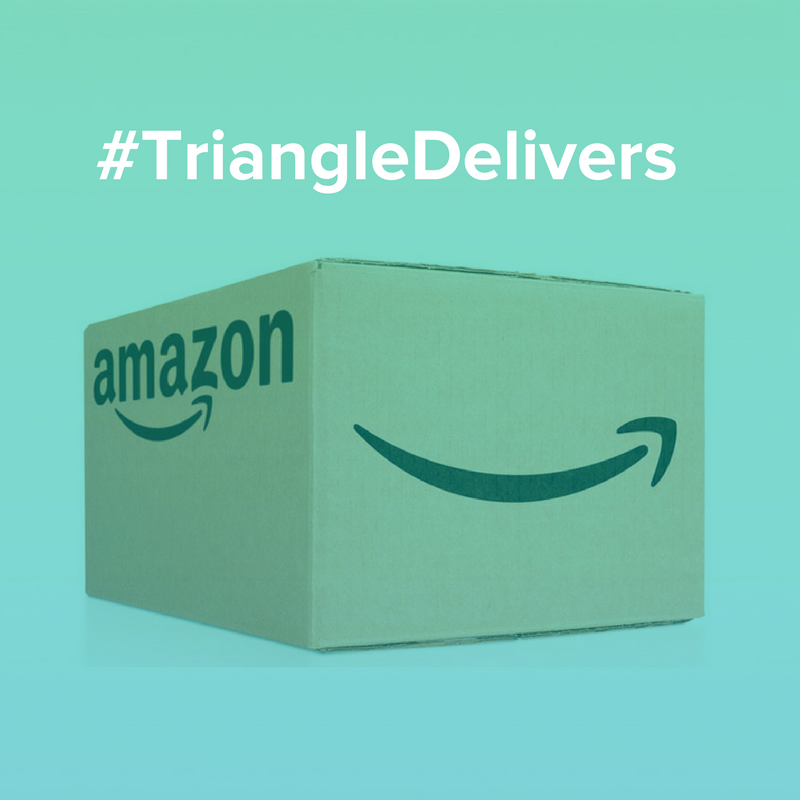 But the Research Triangle is primed to continue innovating, growing, and coming of age–it has all the right ingredients to be one of the top regions in the country in the 21st century. First the universities–while Duke, NC State, and UNC have been producing top talent for years, one could argue that they are at the top of their game. Combined, they allotted over $2.5 billion in R&D last year. Duke’s Fuqua School of Business was ranked #3 in the country for business schools by Bloomberg BusinessWeek. NC State produced the 4th largest class of engineers in the country, and UNC was ranked #3 among public universities by the Wall St. Journal. The Technical Community College system is strong as well. Our local schools–Wake Tech and Durham Tech–are creating the workforce of the future by preparing over 20,000 students for university transfer or immediate skill-based employment by providing over 200 associate’s degrees, diplomas, and certificate programs. Our infrastructure is in good shape. One list we are happy to not be on is the most congested cities list. Commuters in the Triangle experience 34 hours a year delayed in traffic. While that seems like a lot, it is one of the lowest levels of traffic congestion of any growing metro area (Boston has 64 hours of annual commuting delay!) Our local communities have invested in making this number even better–with over $100 million in annual funds through taxes, we’re building smart transit solutions for the future, including light rail and commuter rail (with no legacy systems to maintain). Our international airport is growing as well–with over 50 non-stop destinations, it is implementing a $2 billion master plan that will keep it the most connected medium-sized airport in the US. And if you’re looking for a great place to live with a high concentration of tech jobs, The Triangle has you covered. Realtor.com just named Raleigh the most affordable alternative “kindred city” to San Francisco. Triangle housing costs 30-35% what it does in the Bay Area. And renters pay 38.6% of their income towards rent–less than other tech, start-up hubs like Austin, Atlanta, Nashville, Boston, and San Francisco.) Finally, the Research Triangle boasts great museums, festivals, a vibrant LGBT scene, and tons of higher ed opportunities.